In our previous post about optimizing YouTube videos for SEO, we stressed the importance of seizing online video’s potential, especially since YouTube holds the status of the world’s second largest search engine. But considering that Facebook has reached 2 billion monthly users, and video has become such a significant part of their platform, overlooking Facebook in your video work could lead to a lot of missed opportunity. Let’s take a look at what Facebook can provide for companies, along with some ideas for what to try in a Facebook Live campaign. All of these points correspond with two key aspects of Facebook’s current strategy—keeping users on the site for as long as possible, and increasing Facebook’s competitiveness with video sites such as YouTube. Since it’s in Facebook’s best interest to emphasize video for engagement, it’s in your best interest to incorporate live video whenever you can. Lastly, one of the best aspects of Facebook Live videos is that the quality of video is not as important as the substance. People watching Facebook Live aren’t expecting the high production value they would from a television commercial. Your video can, therefore, be more informal, and in turn, more personal. With so many ways to have an impact with Facebook Live, it’s clear it’s time to get to work. So just what are the best ways to use the platform? Facebook Live is a terrific sandbox for companies and marketing departments to play in, and a little bit of creativity can go a long way. You can think of it as like having your own news or TV station, but be sure not to neglect the engagement factor. Of course, these ideas are just the tip of the iceberg when it comes to incorporating Facebook Live into your marketing, and the more creative you can get the more likely you’ll elicit a worthwhile response. Consider your business, and the products and services you provide, and think about what you could put onscreen that people might want to see. The series features a variety of objects, from pool cues to iPads to Rubik’s Cubes, being “blended” while hokey gameshow-esque music plays and the host makes tongue-in-cheek jokes. Incredibly cheap and easy to produce, and able to showcase the blenders’ capabilities to boot, the “Will It Blend?” videos have become an internet staple with millions of views, all stemming from just a little creativity. Need Help with a Facebook Live Campaign? 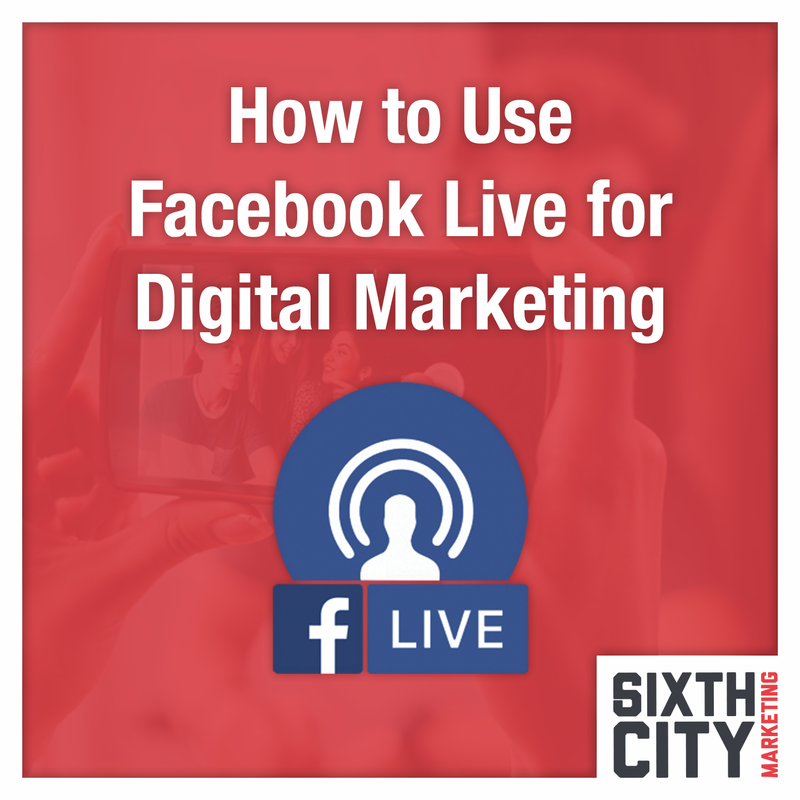 Be sure to check out more ways you can incorporate more video into your marketing, including by way of Facebook Live, on our Sixth City Marketing video production page.